This evening my coworker Brian and I joined our first night hike with Seoul Hiking Group. We had a great time hiking along the Seoul Fortress Walls on the ridge of Bukaksan. Luckily the hike started a short walk from our home. 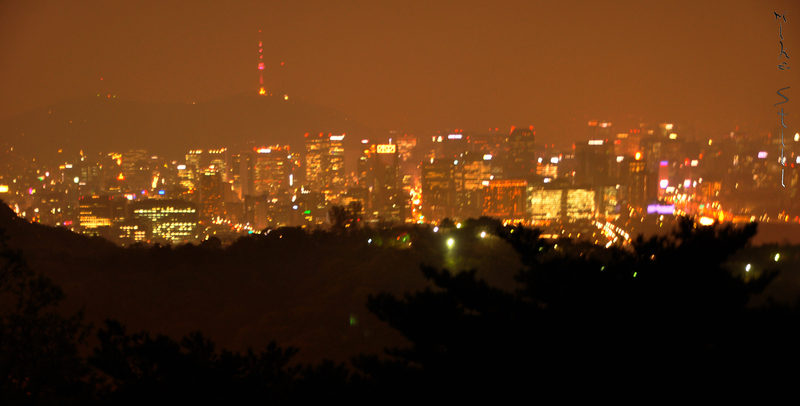 We got to see a unique side of Seoul illuminated by the bustling lights of the city. Unfortunately I didn’t get my tripod working but I’ll definitely go back with it soon. Enjoy these few photos and thanks Warren & Breanne for setting this up!